This post is about how to mine bitcoin with your CPU on Linux, MacOS or Windows. This is the first part in my bitcoin adventure series and I’m not a professional miner, I’m just trying out everything I can get between my fingers. Disclaimer: I am not saying this is a smart idea. Actually it’s not. The only purpose you should use this for is if you’re curious what the flip bitcoin is and how all of this works. Update: You might be interested in mining Monero with your CPU. As said before, your CPU is not a good mining interface, because graphic cards and specialised hardware like FPGAs and ASICs are much faster at doing the computation that creates the actual bitcoins, which are stored in your wallet, a virtual collection that just contains some strings of text. I really wanted to try mining and I didn’t care if it would cost me more than I would make in Bitcoin, so I looked around and stumbled across a bunch of different programs for mining. The one I found for using your CPU was funnily enough one named cpuminer. Now on it’s own it’s not going to do a lot, but actually we’ll have to hook it up to a mining pool, if we don’t have the entire 6GB bitcoin ledger so far and a server center and so on. Pools are basically networks of people who mine bitcoin and distribute the workload among their machines. 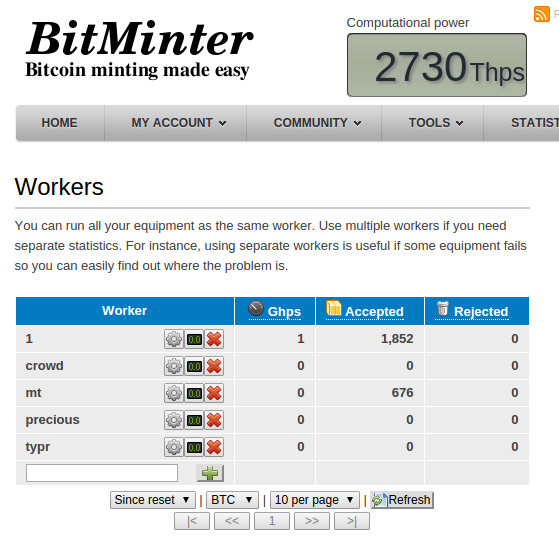 I picked bitminter.com as a mining pool. It’s pretty small, but allows some OpenID logins, takes 1% off my mining efforts as a fee and seems like a legit place from what I could read on forums. It shows you statistics for how much your individual workers make and how much of a bitcoin block you have contributed to mining. To get started, you just need to sign up for some mining pool and then download the cpuminer. 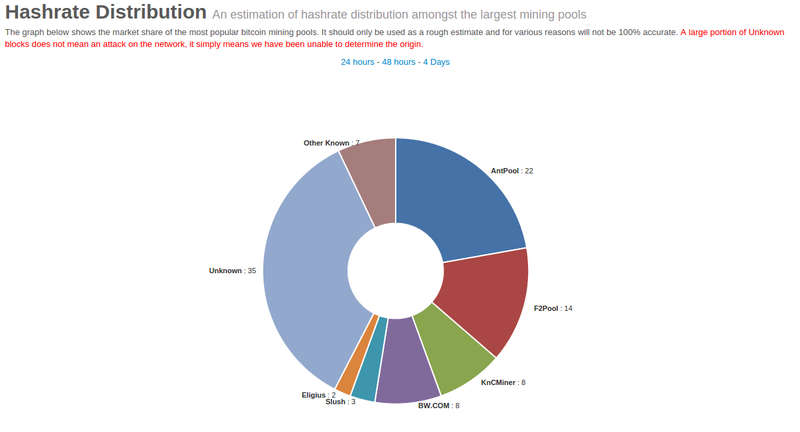 If you want to see which pools mine a lot (they split the income, so it’s not a primary factor) you can check the graph at blockchain about the hashrate distribution across mining pools. Once it is in your download directory and extracted you can use it. If you have not a lot of experience in the terminal, you can use something like the following commands, if you have downloaded cpuminer from the sourceforge page that fits your operating system. With this command you can by the way also help me mine a bitcoin (my set goal, currently worth ~220€). [2015-06-16 06:48:46] 4 miner threads started, using 'sha256d' algorithm. which goes on for a loooong time and keeps spitting out lines like this. The lines followed by (yay!!!) are a little indicator of successfully submitted progress, which you later can see in your mining pools interface. [2015-06-16 06:50:18] 4 miner threads started, using 'scrypt' algorithm. Where the last line tells you, that your hashes were rejected by the mining pool, because they simply were generated by the wrong method. This will not mine you any bitcoins. Thank you for reading and be sure to leave your thoughts in the comments or hit me up on one of the social networks listed on the left! Where is worker specified in this command? Or will it use first worker? Will the CPU overheat a lot? what do the coins get saved as. I get the above error. Is it something to do with the router or ISP? I am also facing same problen in windown 8 system .please help. Hi Curio have you solve the problem. 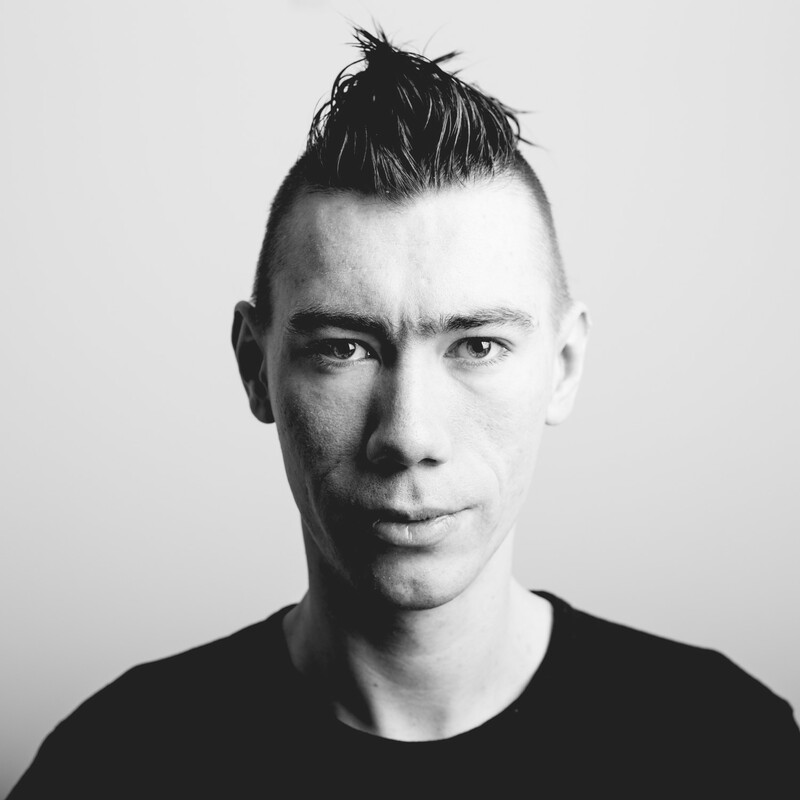 Do your request payouts from bitminer? How could you see Amy stats in tid? How to cash out from bit minter ? Can you help me.. Please. will this work rhel linux 5.4 ? Is there still any value in this? Or is the revenue so low now that it is no longer worthwhile? Do you see any revenue generated by this? Thanks! !